Tales From The Eye: Do It! This evening's workout included: 5 rounds of 7 hang cleans, 7 push presses, and 7 front squats. My weight was 85lbs. The program called for 135lbs. Part of the set was predicated on doing everything with the same bar. Have never tried 135lbs on hang cleans. Could do the squats. But definitely could NOT do the additional fifty pounds with my shady shoulders. One previous injury was enough to keep me cautious. So went with 85lbs. Which turned out to be challenging, but not difficult. As anticipated, the push press took the most effort. Which brings up a very important reminder for the 4HB Challenge: The program is based on Tim Ferris' strength, not mine. He's clearly younger and stronger. So the program has to be adjusted DOWN to my strength level .Most of the time it feels like minimizing my abilities. But Tim is a strong sumbitch. And anyone reading this and considering the same program needs to make sure they consider the difference between their abilities and Tim's! As an aside, the notes on the mat are my own invention. 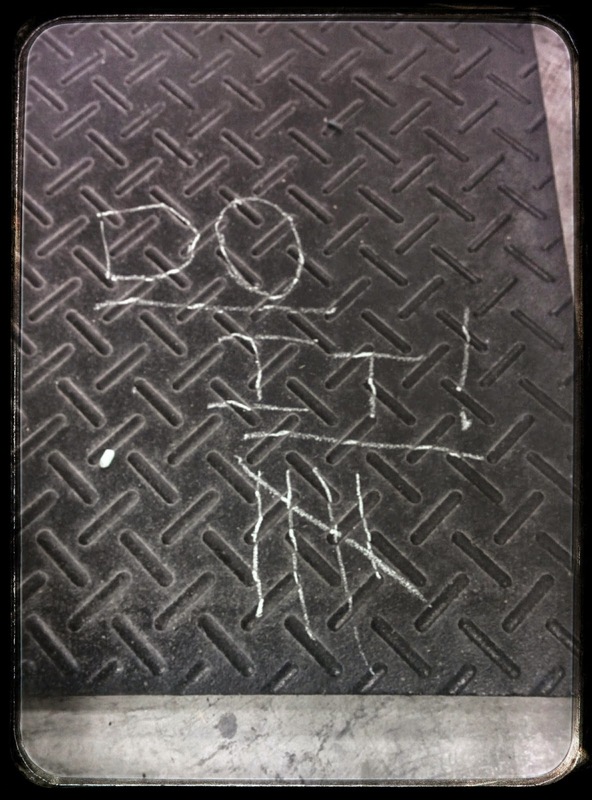 A bit of personal inspiration that gets written right before the workout begins Today's battlecry: Do it!